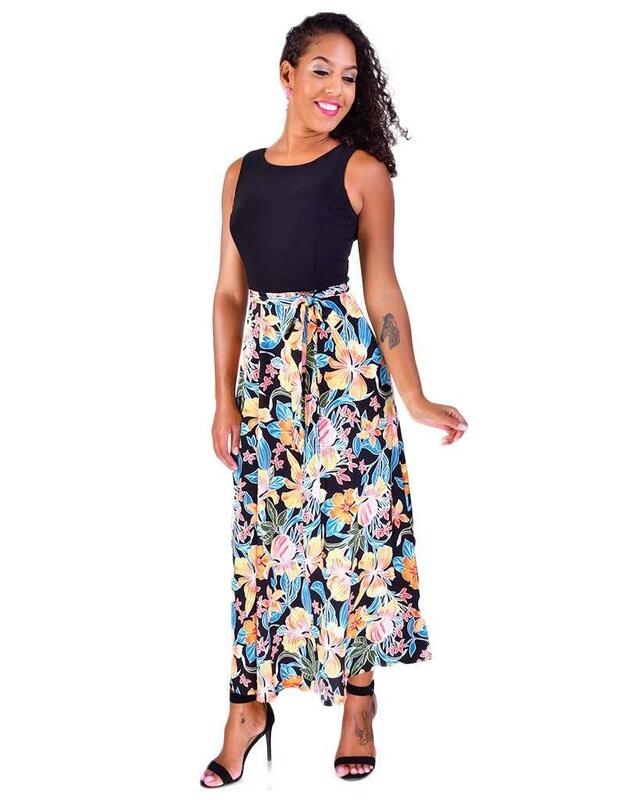 Style and function come together in this color block maxi dress. 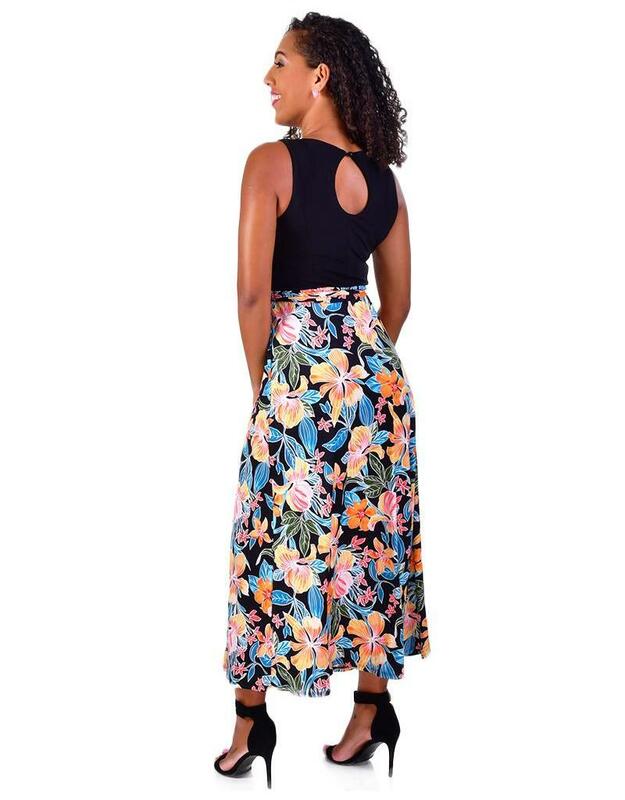 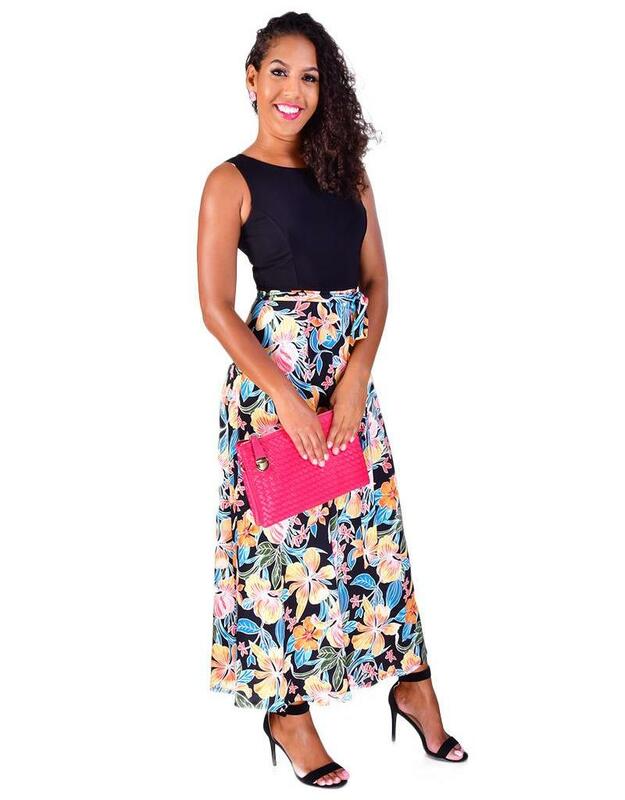 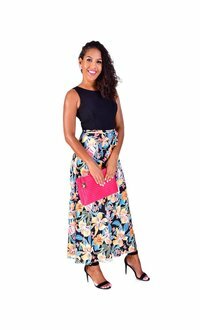 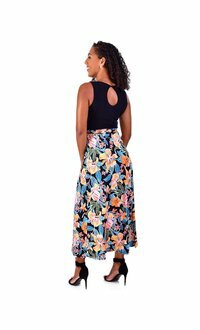 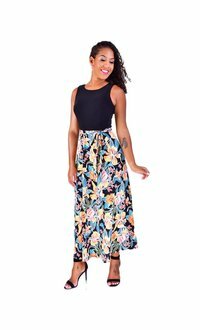 Created with a stylish combination of solid color and print, the bodice of the dress is solid colored with around neckline, keyhole accent at the back, printed maxi skirt with a matching print sash at the waist. Pair this dress with accessories from our collection to meet your daytime event needs.